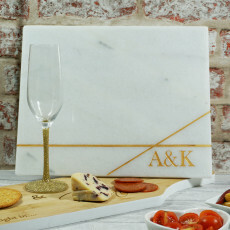 A stunning contemporary linear design marble cheese board, a beautiful gift especially for special occasionas such as Christmas, Weddings or special anniversaries. This beautiful piece of marble is engraved and hand finished with gold to make it truly stunning. 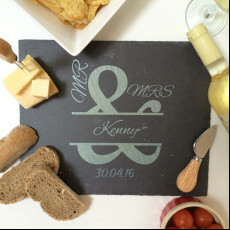 This makes a wonderful wedding gift, christmas gift or unique present for any special occasion. This simple yet stunning linear design fives a timeless feel ensuring the board will stay contemporary and unique for a lifetime. This item can be personalised with any two intitials which will appear as per the image in the bottom right hand corner. 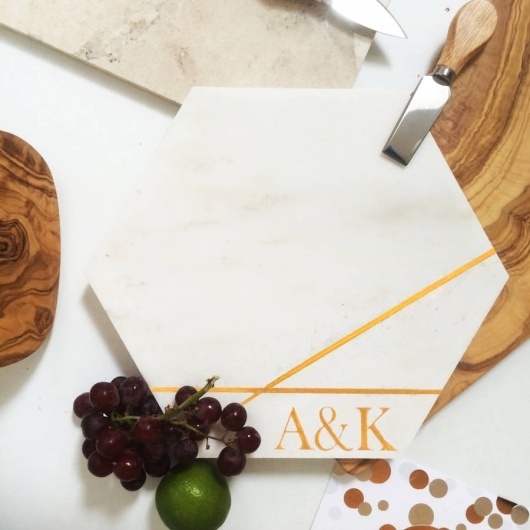 The marble cheese board is engraved and then hand decorated with gold, the board is food sage and dishwasher friendly.